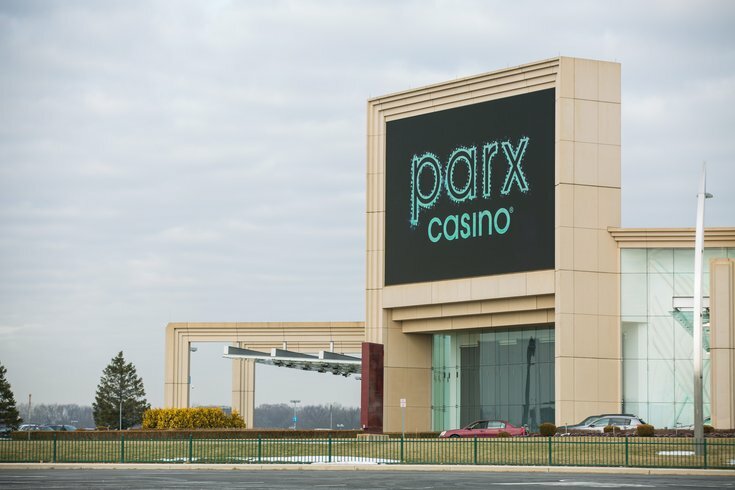 The Parx Casino in Bensalem, PA.
Parx Casino announced Friday it will officially launch sports betting on Thursday, Jan. 10, pending two days of Pennsylvania Gaming Control Board testing and approval. During the two days of testing, starting at 2 p.m. Tuesday, sports betting will technically be open to the public via a soft launch. If the PGCB gives the casino the expected approval, Parx will officially begin taking bets at 1 p.m. on Jan. 10. The Bensalem casino’s sports book will be open until at least midnight every day of the week, and feature 20 HD televisions screens of various sizes, and two 16-by-9-foot screens; a full-service bar; and seven live-teller windows and 45 self-service betting kiosks. Parx will operate its sports book out of a temporary location, but the casino said in a release it expects to open a new, permanent sports book this summer. Parx was also approved in August for Internet-based gambling, which is already legal in New Jersey. Parx said in its release Friday that an app enabling online betting is "coming soon." With its opening next week, the casino will become the fourth in Pennsylvania with a sports book. SugarHouse Casino in Fishtown opened its sports book in mid-December. Pennsylvania is the sixth state in the U.S. with legal sports betting, including a trio of neighbors in New Jersey, Delaware, and West Virginia.